Do you recommend A Affordable Insulators & Services? 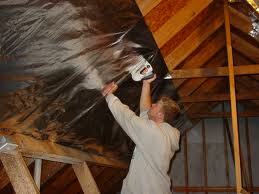 A Affordable Insulators & Services is a full service residential & commercial insulation company. 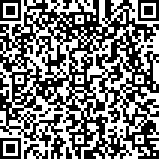 we are family owned and operated and have serving the Greater Houston, TX area since 2002. We offer services and products that are designed to help home and business owners increase energy efficiency< and reduce their energy bills. we specialize in residential and commercial installation of fiberglass insulation, attic insulation<, batt insulation, metal building insulation, open & closed cell spray foam insulation<, radiant barrier foil<, radiant barrier spray, attic ventilation< & insulation removal<. Regardless of the size or budget of your project; a affordable insulators is the one-stop-shop for all of your insulation needs. we are bonded and insured and have an exemplary customer service rating with the bbb. our team of highly trained estimators & technicians ensure quality work at a great price. We offer free in-home energy consultations and on-site commercial estimates. If you think that proper insulation, spray foam insulation, radiant barrier, and attic ventilation for your home or commercial property in Houston or Austin is too expensive, you couldn't be more wrong! The right insulation is like money in the bank, especially with our hot climate. Every month, you can pocket what you'll save by insulating your home the right way and A Affordable Insulators will do it for less than anyone in the entire Houston or Austin area! Whether it's new construction, existing residential or commercial, in Houston or Austin think insulation! 85% of homes in the U.S. are not energy efficient due to inadequate levels of insulation. 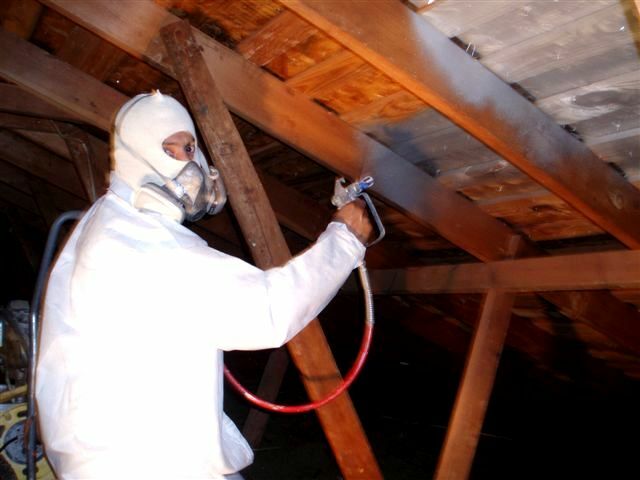 The Department of Energy recommends an R-49 value of fiberglass insulation for homes in the Greater Houston area. Without these proper standards of insulation, hot or cold air (depending on the season) moves through the roof and then into your living area. Fiberglass Insulation traps the hot or cold air in the attic so that your living area stays at a consistent, comfortable temperature year round. Adding fiberglass blown insulation is the easiest and most cost effective way to save money on your energy bills. Other benefits of fiberglass insulation are increased comfort of living area, extended life of your HVAC unit, noise control, condensation control, and energy conservation. Hot air rises and cool air falls, therefore, this continuous motion causes an un-insulated home/living area to become uncomfortable because warm places become cooler and vice versa. During the winter months, heated air flows into the garage, basement or attic. 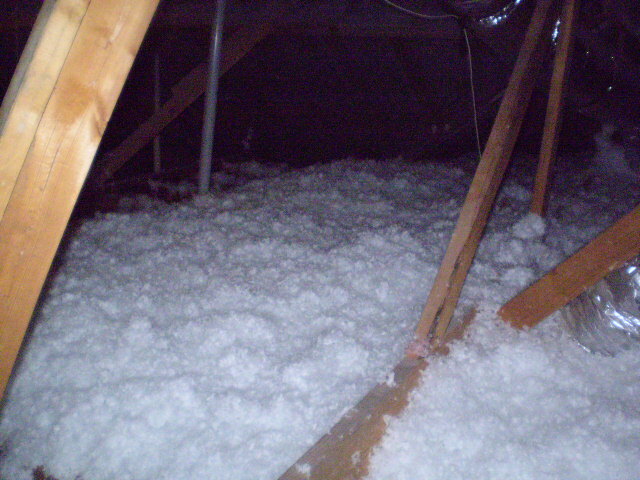 The attic is where most of the heat is lost during the winter months, however , ensuring adequate levels of fiberglass insulation will prevent this heat loss. Fiberglass Insulation, Radiant Barrier Reflective Coating and proper ventilation help to keep the home temperature uniform; saving you money by reducing your energy consumption and also providing you a comfortable atmosphere. Additionally, insulation also reduces noise making your home quieter. The high prices of electricity, gas and oil, as well as heating and cooling is costing the average home owner a bundle these days. New and older homes alike can benefit greatly from the addition of fiberglass insulation. As time passes insulation gradually becomes compacted and becomes less efficient. Therefore, we suggest that you have one of our professional visit your home to recommend minor enhancements to your insulation, which will positively impact your energy usage. Polyurethane foam is a spray foam insulation that expands to create a zone of climate control around your home keeping it cool during summer months and warm during the winter months. 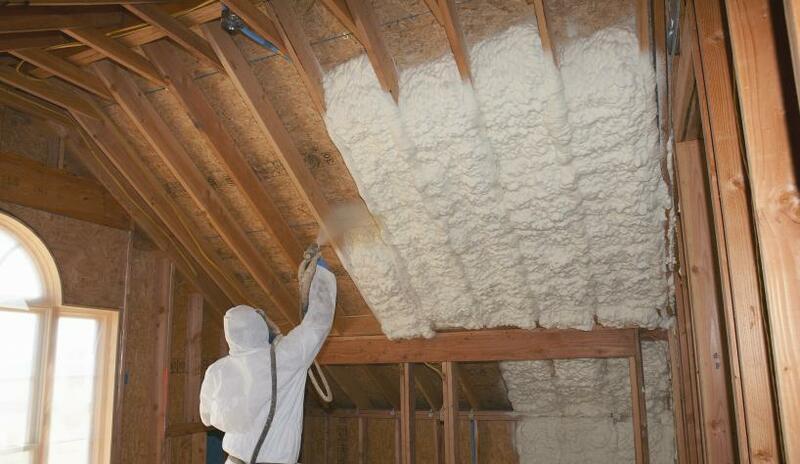 Spray foam insulation is the highest performing insulation system available today. 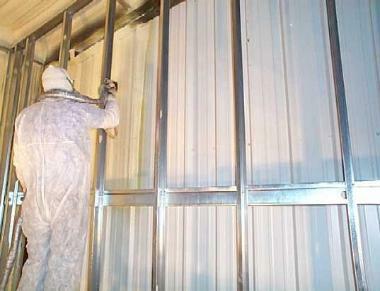 The insulation is applied as a liquid spray and expands into polyurethane foam. The expanded foam completely insulates the entire cavity/area where it is applied providing a seamless air barrier. Spray foam insulation creates a seal so impermeable that an air exchange system must be installed; The benefit of this is that the only air that can enter the building is clean, filtered air. The low moisture permeation seals out all outside air, therefore ridding the breeding ground for mold. Spray foam insulation can be applied to interior walls or underneath stair wells to reduce transmission of sound. Perfect for media rooms, bathrooms, laundry rooms, or under floors of multi level buildings. Creates highly efficient outside air barrier. Creates air tight thermal seal. Allows water to pass through, minimizing moisture damage. Creates a healthy environment by reducing dust, dirt and pollen. Acts as a superior barrier against insects , rodents and other unwanted pests. Spray foam insulation seals a buildings envelope so tight that an air exchange system must be installed. This is good, because the only air that can enter the building is clean filtered air. The breeding ground for mold is eliminated because foam insulation seals all outside air and controls moisture transmission. Also, spray foam insulation seals the entryway for insects, rodents and other unwanted pests. With a very low moisture permeation rating, spray foam insulation is the only insulation that can be applied directly to the underside of a cathedral ceiling or the side of a metal building. This eliminates the requirements to install a vapor barrier and allows for the construction of non-vented roofs. We are Houston and Austin’s premiere Residential and Commercial Foil Radiant Barrier Company. Our Radiant Barrier Foil blocks 97% of the sun’s radiant heat, reflecting it away from your attic and reducing your attic temperature up to 50 degrees and increasing the efficiency of your existing insulation and your HVAC unit. This also makes radiant barrier foil a product that keeps saving you energy even in the winter months If you own a home or have a building in Houston or Austin, TX and you are looking for a way to reduce energy bills and further increase the efficiency of your energy usage then choosing Radiant Barrier Foil installed by A Affordable Insulators is the way to go. We use the best ultra heavyweight 28llb no- tear, perforated aluminum Radiant Barrier foil available on the market. A Affordable Insulators has professional radiant barrier foil installers that have all passed rigorous training for radiant barrier foil installation, so you can have peace of mind that the job is getting done correctly the first time. We have thousands of satisfied clients that have had radiant barrier foil installed and watched their energy bills drop. Radiant Barrier reflective coating is installed on the attic decking, (the underside of the roof). By doing so, the Radiant Barrier coating reflects the sun's radiant energy, "heat," away from your roof. 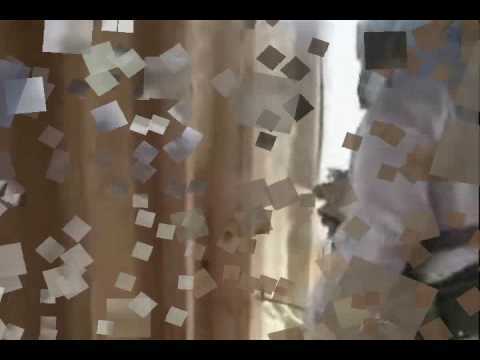 We use Radiance ''e'' Radiant Barrier spray. This product reflects up to 80% of the sun's radiant energy and is the best radiant barrier coating on the Houston market. The method of applying the radiant barrier by spraying is affordable, quick to install, and starts working immediately. We also install a foil radiant barrier. We use the same Radiant Barrier spray originally used by the U.S. military, to hide the heat signatures from vehicles, to make them invisible to heat-seeking missiles and heat scanners. Therefore, the Radiant Barrier sprays work extremely well to shield attics from absorbing as much as 80% of the sun's heat! Radiant Barrier reflective coating is applied to the under coat of the roof deck as a thin spray, reflecting away the sun's radiant heat, keeping the attic up to 30% cooler, which saves the home owner significant sums of money over the years. The Radiant Barrier Spray works in the opposite manner during the winter, where the home owner heats the home. Then, it reflects back as much as 80% of the heat from escaping the home's roof. Many people think that if the attic is sealed tightly from outside air, this would create the most energy-efficient attic, however, exactly the opposite is true. 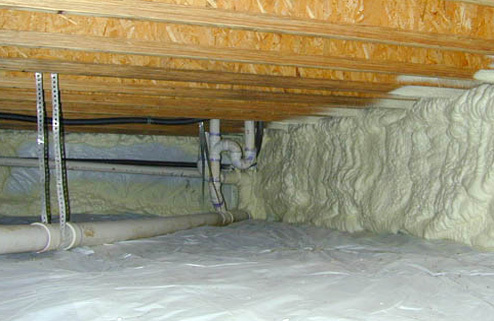 In order to meet building codes, and to ensure that you have an Energy Saving Attic®, proper ventilation is essential. Our team uses soffit vents and ridge vents to pull air through the attic. This creates natural convection pulling air out of the attic via the ridge vents, which in turn brings in fresh air from the outside through the soffits. This continuous movement of air requires no moving parts or energy. Sometimes our teams will recommend wind turbines, air hawks and the latest addition to the industry solar-powered vents. Attic ventilation keeps the attic cooler in the summer and dry in the winter. Proper ventilation enhances the performance of your insulation, extends the life of your HVAC unit and saves you even more money on energy bills. During the hot summer months, proper ventilation prevents heat build-up in the attic, thus reducing the stress on air conditioners. During the winter months its important to remove the warm, moist air generated by laundry shoots, showers and cooking vents, etc... and recycle the air. If the ventilation system is not working or is not properly installed can cause the air to stop, potentially trapping poor quality air in the attic and causing extensive damage to the roof and insulation over time. Proper attic ventilation also contributes to the performance of attic insulation and radiant barrier spray. The results are added comfort in all seasons, reduced energy consumption throughout the year, and the prevention of damage to your home. Power vents are attic fans that are installed on the roof to help draw hot air out of the attic and further cool your house on hot days. Power vents have built in thermostats that automatically turn the fan on when the temperature gets too hot. Soffits are installed under the eaves of the house and let cool air into the attic. The force of air into the attic allows the hot air in the attic to be drawn out by attic vents (i.e. power vents, solar vents, attic fans ridge vents,) therefore you have consistent air circulation in the attic. Your A Affordable Insulators & Services reviews help others learn about this business nature. Best reviews about A Affordable Insulators & Services are passionate and personal. They offer a rich narrative, a wealth of detail, and a helpful tips for other A Affordable Insulators & Services customers. Please don't review A Affordable Insulators & Services if you received a freebie for writing this review about A Affordable Insulators & Services, or if you're connected in any way to the owner or employees of A Affordable Insulators & Services.